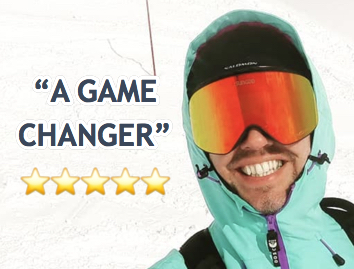 One big whisky-filled alpine adventure in the Alpstein mountains of North East Switzerland. When you think about Switzerland, you probably think about chocolate, watches and multi-tool army knives. You certainly wouldn’t think about whisky, am I right? What country pops into your mind when you think about whisky? Hopefully Scotland, and maybe Japan. Why are those countries great at making single malt whiskies? They are lands of mountains, crystal clear water and fertile land to farm key ingredients, such as malts and grains. By it’s very definition, Switzerland has all of those things in abundance. After 20 years of being a cottage industry, whisky is taking off in Switzerland, helped in part by a unique proposition for whisky afficionados wanting to try the best single malts the country produces: a thrilling, unique whisky trek through the Swiss Alps. Until July 1, 1999, the distilling of spirits such as whisky and vodka was prohibited by Swiss law, as the powers that be believed household staple foods such as grains and potatoes should be used for food consumption, and not for the purpose of distilling. With pressures from the WTO however, Switzerland revoked the law, which in turn opened the door for spirits entrepreneurs to begin creating whisky. 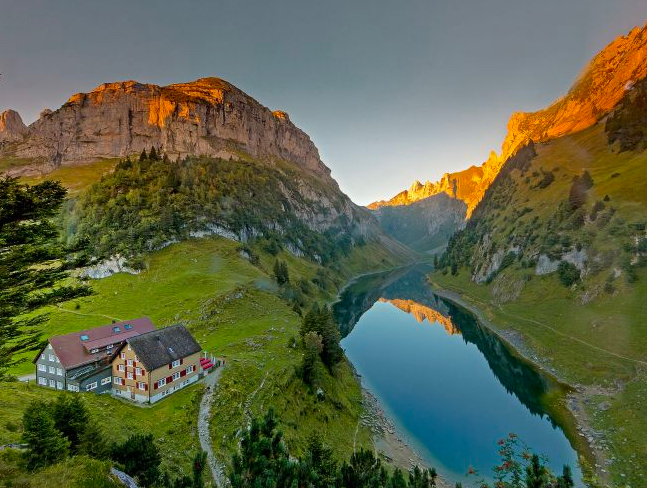 Over in the North East corner of Switzerland, around 1 hour from St. Gallen, lies the town of Appenzell. An alpine region which is situated at the foot of the Alpstein mountains, Appenzell and its brewery has been home to the Locher family since 1886. When the malt and grain distilling law was lifted in 1999, master brewer Karl Locher, known for his creative range of Appenzell beers, began making their first whisky, Säntis Malt, in beer casks seeped in history using spring water from nearby Alpstein mountains. 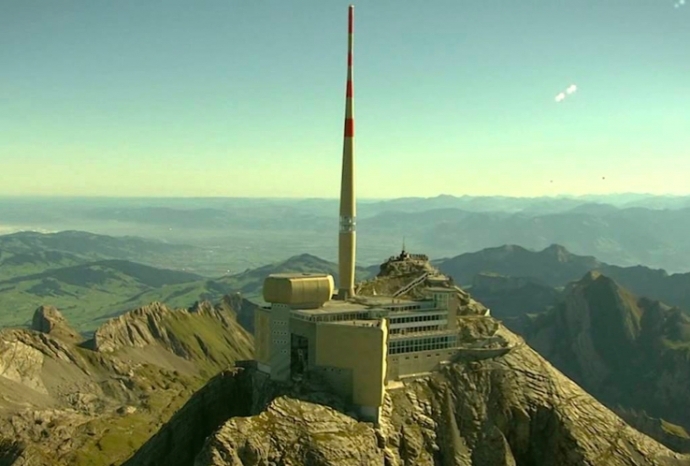 The malt is named after the tallest mountain in the Alpstein range – the Säntis – which stands proudly at 8,216 feet (2,504 m) tall, and overlooks the Appenzell region. After Santis Malt hit the consumer market in 2002, it grew from strengh to strength. It picked up an award for European Whisky of the Year in 2010, and in 2012 it picked up a prize at the International Wine & Spirit Competition (IWSC) in London. Santis Malt was on the way up, in more ways than one. Word began to spread about this popular, award-winning local whisky, which perked up the curiosity of Alpstein mountain inn owners, known as ‘Berggasthäuser‘. Sepp Manser, the landlord of the Berggasthaus Meglisalp, learned that there were occasional special editions of Säntis Malt Whisky being produced. He asked if he could have a one-off whisky for his mountain inn, satisfying the curiosity of an ‘Appenzeller’ and other guests who wanted something special. 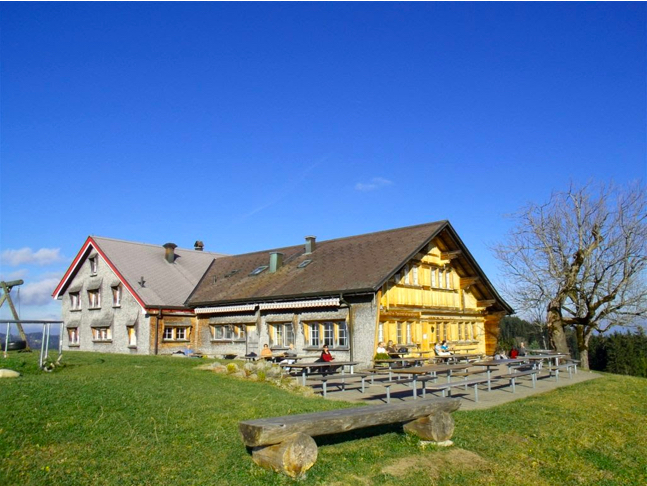 Berggasthaus Meglisalp began serving its own, unique version of Santis Malt in the summer of 2012. What began as one barrel in one Berggasthäus quickly spiralled. Inspired by great demand and rave reviews from the whisky at the Meglisalp mountain inn, the other Berggasthäus owners put their heads together and came up with the idea of creating a unique whisky for every mountain inn across the Alpstein mountain range. 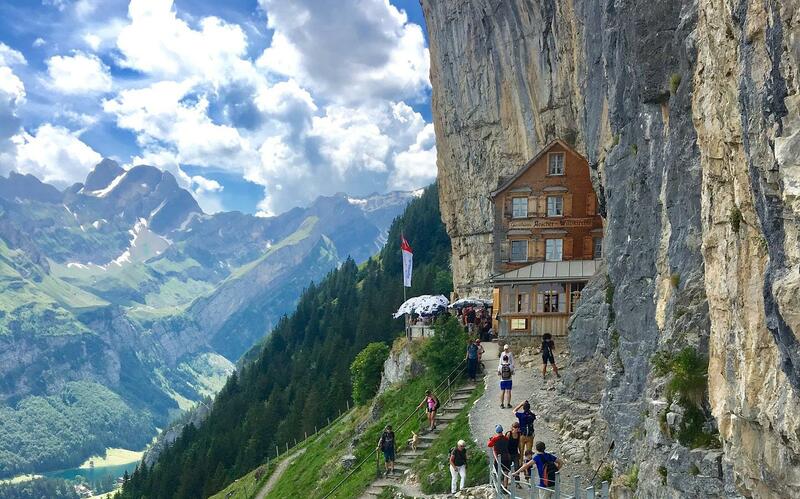 And so it came about that the 26 Appenzell mountain restaurant began serving their own version of Säntis Malt, and the Alpstein Whisky Trek was born. The whisky would be distilled in Appenzell, and would need to be distributed across the Alpstein. 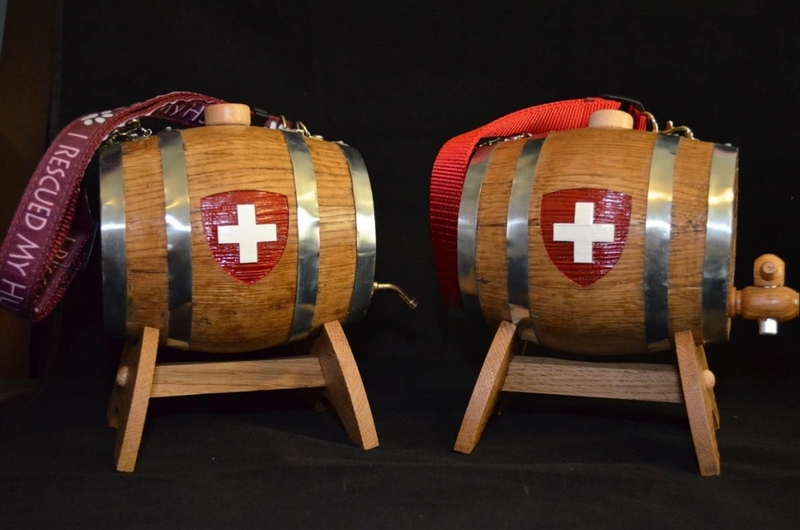 Heavy, wooden barrels, filled with delicious Swiss malt whisky. How could they be transported to all the mountain inns? By hand. By horse. By any means neccessary, that’s how. Even though each of the 26 whiskies on the trek are made from the same base malt whisky, every single one is different, both in taste and colour. So much so that the spectrum ranges from light straw coloured whiskies to dark gold. The higher in altitude a keg is stored, the more liquid that evaporates, and the stronger the concentration of the whisky. The temperature of the storage location is decisive for the ripening speed: the lower the temperature, the slower the ripening. Similar to temperature, the more humid the environment, the warmer the temperature, causing water to evaporate from the barrels much faster. This causes the alcohol proof to rise in the whisky barrels. Whiksy that is distilled in port, sherry, or even plum brandy wooden barrels are going to taste very different as the wood extracts flavours and blends in with the whisky over years to develops a special, unique aroma. The 26 mountain inns are peppered across the Alpstein mountain range, and the hikes to some of the Berggasthauser are simply breathtaking. The local tourist board, known as Appenzellerland, has a brilliant website which outlines the route of the trek, which I’ve recreated below. The whisky trail follows the route of the ‘Royal Tour Of The Alpstein‘, an incredible scenic, mountain-filled panoramic route that spans 84km and 5,166m in height gain. 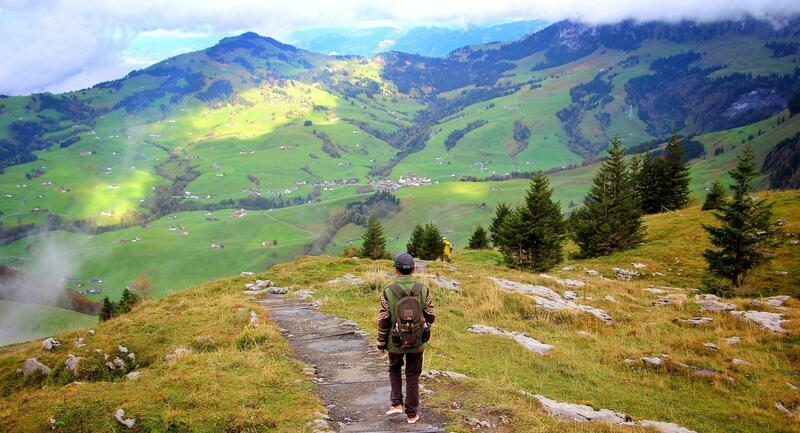 Also known as the Königsroute, it takes you on a outstandingly picturesque trail through the Alpstein. Whilst it sounds like the route is only for the fit and adventurous, you don’t have to do the full route in one go. In fact most people do three or four mountain huts in a day, maybe up to 9 in a couple of days, and only a handful of people have completed the full 26 mountain inns. As such, many parts of the route are more than suitable for more leisurely hikers. To give you a taste of some of the scenery on offer, check out the pictures below. The first is of Berggasthaus Aescher, number 12 on the list above, and the second is some of the hiking scenery you can encounter in the Alpstein. There are some important points to consider when planning your whisky trek trip to the Alpstein. Probably the most important element to consider is the weather. For most people, the best time to hike the whisky trek would be mid to late Spring, and throughout summer to September. October and the winter months bring bitterly cold weather, and the Alpstein is far better suited to skiing than hiking in those months, unless you’re a seasoned winter orienteerer. 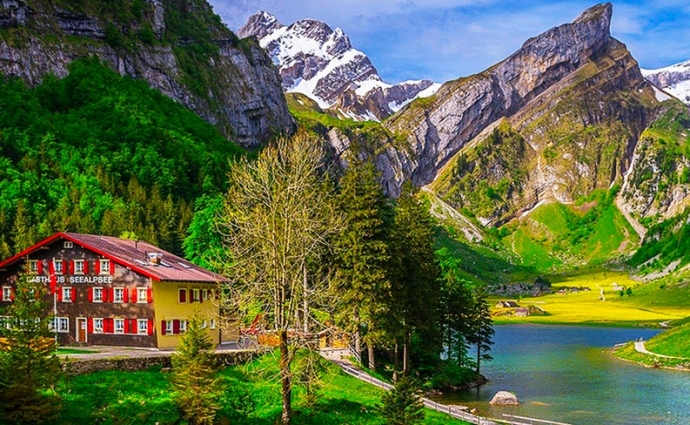 You can grab a cheap flight to Zurich, the closest major airport to the Appenzell district. Basel is another option, but is further West, so adds on an extra 60 mins of drive time. Go check Google Flights! The drive from Zurich Airport to Appenzell takes around 1 hour, if you take road number 1. Bear in mind there are tolls on this road. You can get the train, which takes around 1hr 45 mins, but avoid the bus – you have to change 4 times and it takes over 2.5 hours. 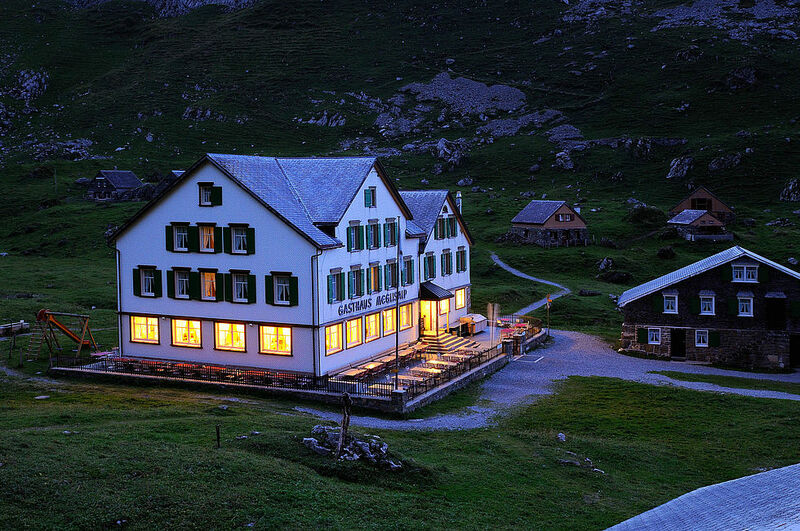 You can make Appenzell your base, or many whisky hikers prefer to start in Weissbad, which also has plenty of hotels. 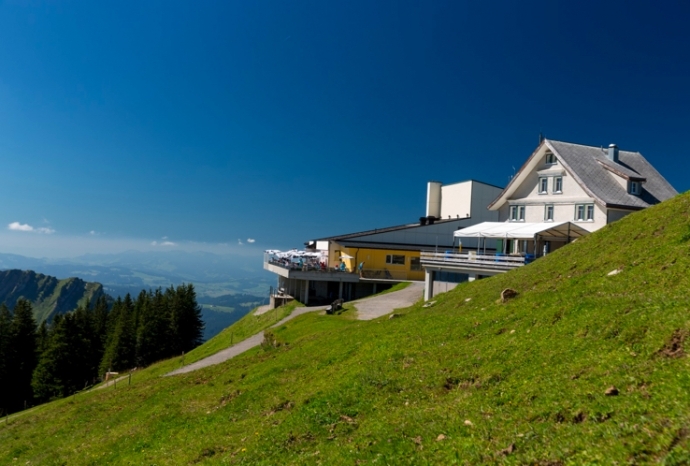 As you work your way around the Alpstein, many of the mountain inns also have beds, so plan correctly and book in advance and you can make a great weekend or week long trip! Please remember, some hikes are easier than others around the Alpstein. If you are not familiar with the route, and not sure which way to go or which inns to visit, I advise to check your planned tour with the local tourist office before, to make sure all paths and mountain inns are open, and the level of difficulty matches your fitness. 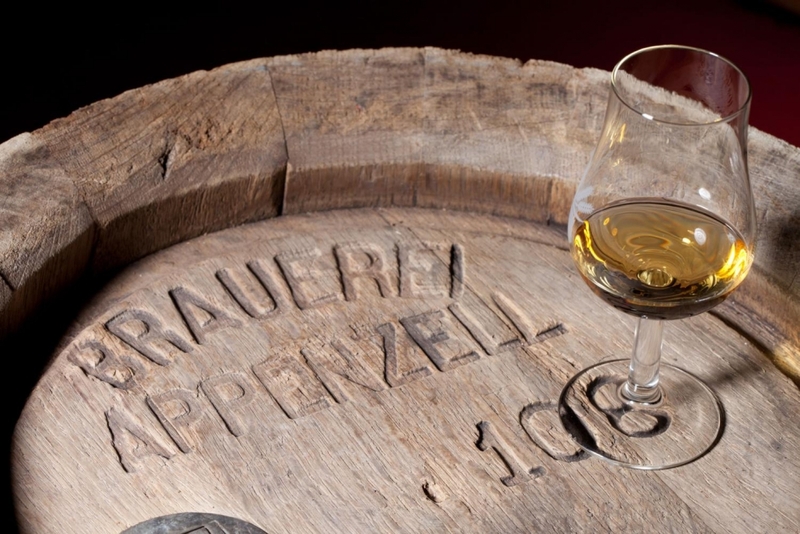 As you’ll see on the MySwitzerland.com site, there are two main tarrifs on offer: you can opt for the smaller 9-whisky tour for 150 Swiss Francs* (there is also a slightly shorter 8-inn whisky tour for 135 CHF*). You get a voucher booklet to take on your hike, and for each voucher you get a whisky at the nine or eight mountain inns of your choice. Once complete, you can also pick up a collector’s frame at Brauquöll Appenzell (number 27 on the map). For the full 26 inns, this is known as the TREK 2 finisher tour, costing 390 Swiss Francs*. Everyone who tastes all 26 Säntis malts will receive a finisher trophy on submitting their vouchers. * Prices correct as of February 2019. 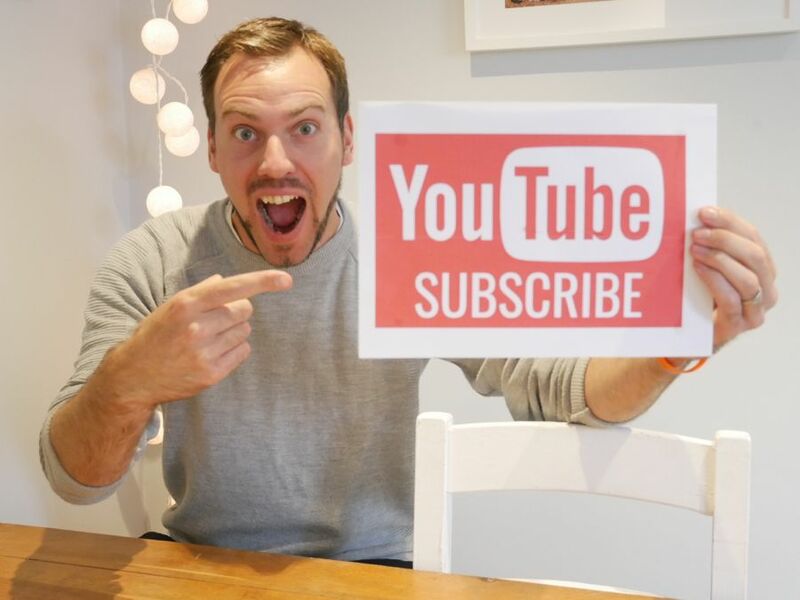 If you beat me to it, have a brilliantly amazing time, and please feel free to let me know how you got on in the comments below. For final inspiration, check out the brilliant video below from Jeff Bradford. Know Someone Who Should Know About The Whisky Trek?